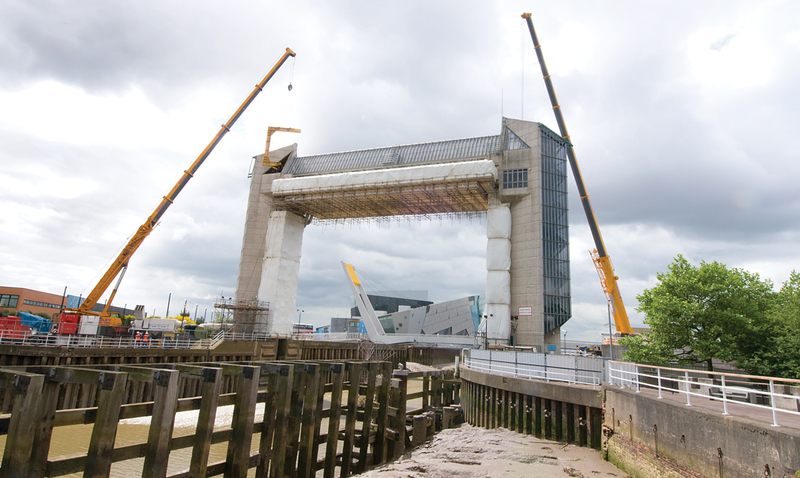 The Hull Tidal Surge Barrier is a vital flood defence, which protects thousands of properties in Hull and the surrounding area from seasonal tidal flood events. 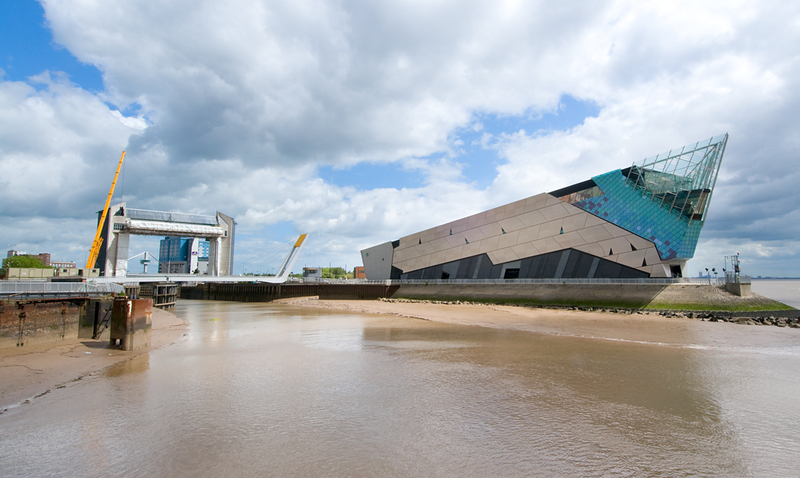 Qualter Hall were awarded the initial design order by the Environment Agency in 2008, to develop an integrated design solution and target price for the total replacement of the Barrier drive mechanism. The main objectives of the project were to provide a robust and reliable design with a greater level of redundany in the event of either equipment or power failure. A hydraulic drive proposal was developed for each tower, which are linked by a synchronising cross shaft, to enable the barrier to be operated independently from each drive assembly. A hydraulic retarder system is also incorporated, to enable the lowering of the gate in a controlled manner in the event of both mains and generated power failure. Works commenced on site in April 2009 to carry out repair / replacement of mechanical equipment fitted to the gate and pre-installation of a new gate latching mechanism. 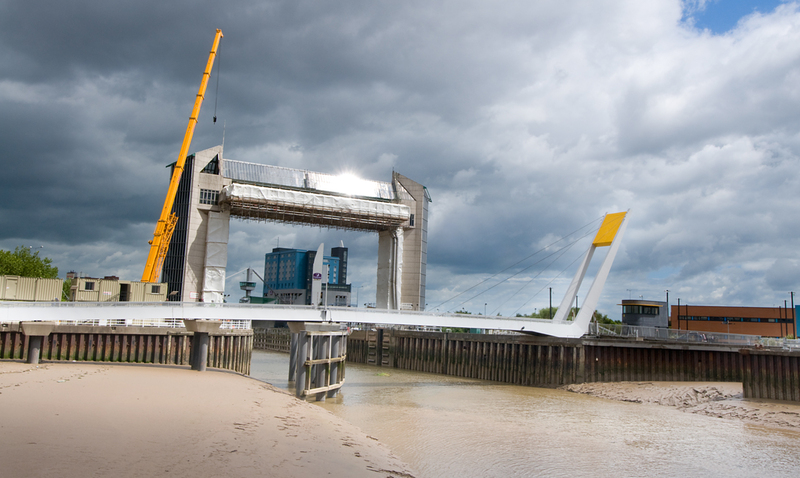 During the same outage in the low flood risk season, the gate and ancillary structures were fully painted in line with the existing colour scheme. All new equipment was fully assembled and tested at our facility in Barnsley, prior to installation on site. A full mock up of the plant rooms was built in the factory to ensure that the equipment fitted within the restricted space confines of the existing structure. Integrated functional testing was carried out to prove various modes of operation and to reduce overall project risk, prior to critical path installation works. Final critical path installation commenced May 2010 for a 9 week period. The Barrier had to be deployable in manual mode after 41 days, with the remaining outage period being used to complete works associated with automatic operation. 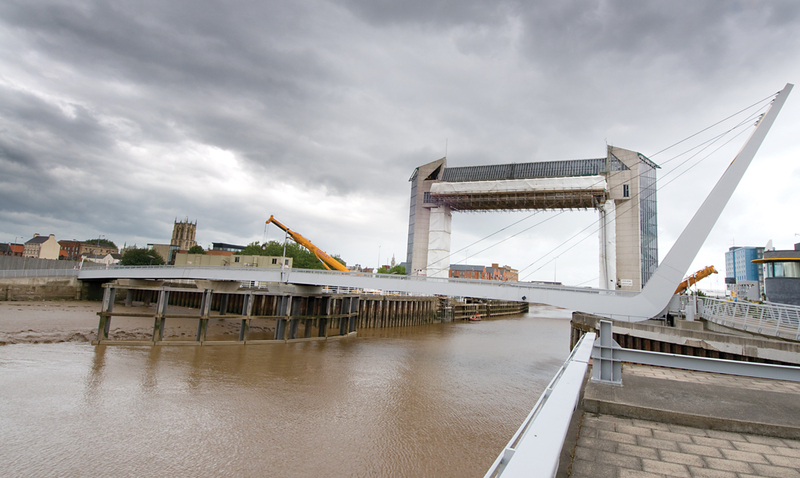 Due to the critical nature of the works involved, all site activities were carried out by Qualter Hall personnel on a 24 hour / 7 day per week basis. After completion of installation, extensive site acceptance testing was carried out to check and prove all functions prior to formal training of the client's operational and maintenance personnel. The contract also includes the provision of a 3 year maintenance period after take over.